You must answer buyers’ questions honestly. For example, if the buyer asks you, “Has your horse ever been lame?” and he had a stone bruise last year, you must tell the buyer about it, even if the horse is now completely sound. However, to put the buyer at ease, you can also offer other facts about the horse’s current soundness. If you are a trainer, riding instructor or other equine professional, your clients are entitled to rely upon your advice in buying a horse. Because of your client relationship, you must tell them what you know about the horse, and you mustconsider your client’s interests before your own. For example, if you are selling a lesson horse because a vet has told you that a pre-navicular condition may eventually make him lame, you must inform your client, even if he doesn’t ask whether the horse is sound and even if the horse is completely sound now. You may have commission arrangements with other trainers or breeders in your area, but your recommendations should be based upon what is best for your client, not what is best for you. You must advise your client frankly, including whether you think the horse is fairly priced and whether it is suitable for your client’s intended use. The more information that your client has, the less risk of liability you will have. 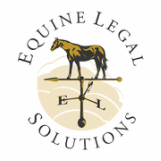 Keep in mind that you may have more to lose if your clients leaves your barn than if you lose a commission. If a buyer tells you what she’s planning to do with your horse and you have information that your horse wouldn’t be suitable for her plans, you must tell her. For example, if she tells you that she wants to use your Quarter Horse to help round up her cows and the horse spooks at your kids’ 4-H steers, you must tell the buyer. Similarly, if she tells you that she’s a beginning rider and your off-the-track Thoroughbred is a real handful, you must tell her that the horse is not a beginners’ mount. Remember that as the seller, you can refuse to sell your horse to a buyer who doesn’t seem suitable to you, as long as you don’t discriminate against the buyer on the basic of age, race, marital status, gender, or sexual preference. While a buyer is talking, you may realize that she has some false beliefs about your horse, and you must set her straight. For example, if she mentions that she saw your Appy gelding win a snaffle bit futurity last year, but your horse has never been off of your property, you must tell her that it wasn’t your horse she saw.